Plan a breeding program, master canine genetics, and use the right strategies. A kennel is promotion, networking, bookkeeping, online marketing, and more. All your dogs' health, nutrition, fitness, grooming and special care. Create, run and manage your breeder website using reliable tools. Series of unbiased buying guides and reviews for dog breeders. 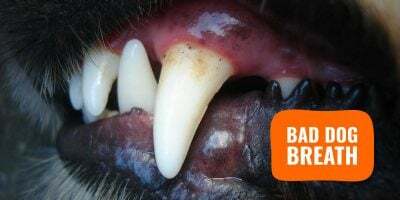 7-DAY ETHICAL DOG BREEDING COURSE — FOR FREE! 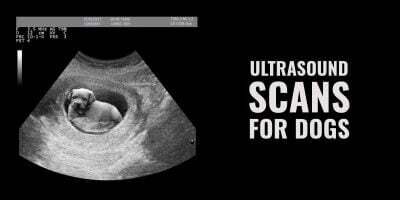 Receive our FREE 7-day course to a much better breeding + a boatload of super freebies! 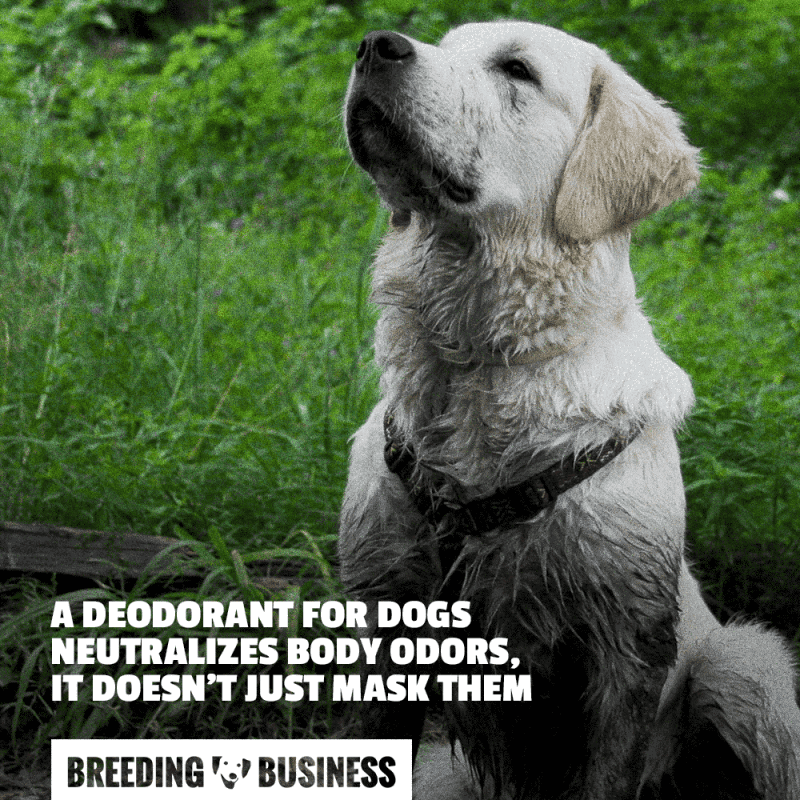 If you own a smelly dog and are bothered by the bad odors, you can and should buy the best dog deodorant, dog cologne or perfume for dogs you can afford. It’s a relatively cheap item to buy and life-saver when the bad smell becomes too bothersome. Humans have them, dogs too, and we all hate body odors especially when they become too present. Bad smell in dogs is common and mainly caused by the dog’s body or by environmental factors. Using the best dog body spray will help you avoid (or get rid of) that famously disliked dog smell at home or in your car. After Grooming — once you have washed, cleaned and dried your dog, you may want to add a nice scent to their coat using a discrete cologne for dogs. In-between Grooming — at random times, you might also want to use a dog deodorant to neutralize bad smells after a long walk or just to freshen the dog up a little! Over the last years, dog grooming has become a central concern in dog owners and fighting bad body smell in dogs is amongst the top issues. There is no need to bring your dog to the groomer, you can do it yourself with a good pet deodorant or cologne. Dog colognes mask odors; dog deodorants remove the bacteria causing the bad smell. The truth is most manufacturers use these three terms to describe the very same items and favor one or the other for marketing reasons mostly. Cologne sounds less harsh than Perfume which often sends the signal that alcohol is part of the ingredients list. Deodorant sounds more vague. Again, most of the time they all mean the same thing: something that either neutralizes or masks bad smells. There should be a real difference between dog deodorizing products versus colognes or perfumes; but most of the time there is not. Instead, focus on reading the description and pay attention to wording used. Let’s review our top 5 best dog colognes, dog perfumes and best deodorants for smelly dogs! Obviously, all pets can use these products and a lot of dog owners use them preventively to avoid the sudden or progressive apparition of bad smell in their pets. A luxury range of products with sensitive dog skins in mind and a top selection of ingredients for our pets. 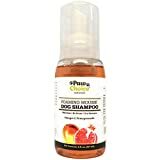 Made without any paraben, toxic chemical or petrochemical; this sea mist has a long lasting deodorizing and neutralizing effect on bad dog odors. Unlike most dog perfumes, you can spray the dog itself (obviously), but also on beddings or in your car. It is definitely safe to use around the house. It’s definitely worth trying the Isle of Dogs Odor Neutralizing Spray and make your own opinion because I have no doubt you’ll love the product. The best puppy deodorant made from all-natural ingredients including the healthy oatmeal, aloe vera and vitamin E. It’s a perfect cologne to use after a bath or in between to baths since it also conditions the hair for a softer touch and better brilliance. There is no alcohol in the ingredients list and all are 100% biodegradable! These bamboo-based deodorizing wipes for dogs are made only from natural ingredients including Hawaiian Awapuhi, Aloe Vera, Vitamin E and the wipes are completely free of nasty compounds such as chlorine, alcohol, fragrances, parabens, and other harsh chemicals. That way, you’re sure to leave your dog’s skin in perfect state even with frequent use. Because the wipes are unscented, they are not here to mask bad odors but instead to breakdown and neutralize your dog’s bad odors. It’s a healthier way to combat dogs’ body odors since it’s not masking but actually solving the problem. On a practical level, Pogi’s Grooming Wipes are big, thick and sturdy; they won’t tear easily even with large dogs with coarse coats. 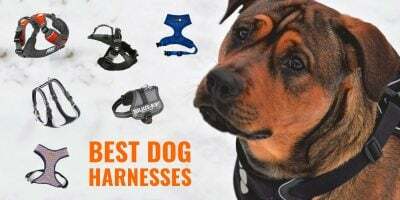 I also recommend them for a dog’s bum and paws after a dirty walk, but I would avoid the eyes just to be on the safe side. The main upside of using a quality dry shampoo for dogs is that it will remove the variety of bacteria that are causing the bad odors, instead of masking them. It is stronger than a deodorant but also requires more effort to apply it evenly all over the coat. Results should be better but because it is a stronger option, you do not want to use a dry shampoo too often. 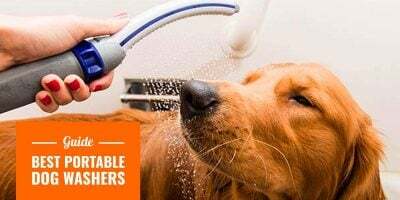 Used as a great replacement for water baths, this waterless dry dog shampoo is made in the United States using no harsh detergents or chemicals. Instead, it favors a safe and mild coconut-derived formula to work even on sensitive skins. Plus, it smells lovely! Aromatherapy is the science helping humans and pets alike in their daily lives using scents. However, it’s not just about what smells good to the dog’s nose, but instead what essential oils and scents trigger what behaviors in dogs. Some smells are soothing dogs, others are exiting dogs, and some aromas will repel parasites and bugs from your dog’s coat. 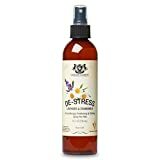 A great aromatherapy-based spray formula for dogs is mixing the right oils and aromas in order to provide your dog with a multi-action spray. First, it deodorizes the dog’s coat by breaking down molecules guilty of generating the bad smell. Second, it emits a delicate and subtle odor that is neither aggressive nor useless. It’s balanced. 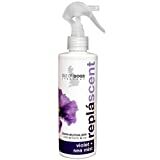 And lastly, it is freshening but even more importantly, it de-stresses dogs thanks to the lavender and chamomile aromas. Receive a FREE 7-day course to a better breeding + a BOATLOAD of super freebies! One-off litter or professional dog breeder? 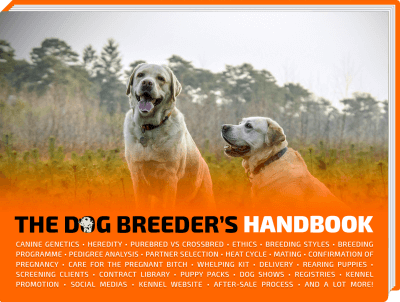 Our bestselling ebook helps you start and manage your dog breeding adventure from day one. wow! I love that pic! I tried this Mr Groom stuff and it made my dog smell great for 2 weeks! Breeding Business is a platform dedicated to ethical dog breeding around the world. Our team provides quality posts, in-depth articles, interviews, product reviews, and more. We participate in the Amazon Services LLC Associates Program, an advertising and affiliate program providing a way for our company to earn fees by linking to Amazon.com and affiliated sites. Product availability and prices for Amazon Products displayed on this page are updated every half an hour and are subject to change. Price and availability information shown on Amazon at the moment of purchase will apply. 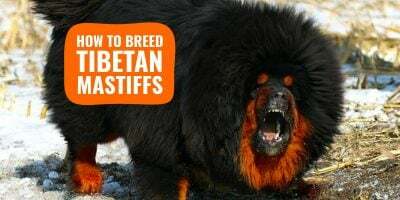 Tibetan Mastiff Breeding – History, Health, Litter Management, etc. How To Breed Bull Terriers – Background, Health, Litter Management, etc. SIGN UP NOW — FREE! + get a boatload of freebies!